Resilience Engineering Perspectives: Vol 2. 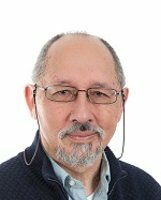 Hollnagel, E. (2014). 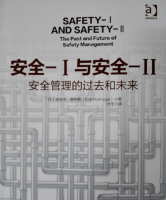 Safety-I and Safety-II: The Past and Future of Safety Management. Farnham, UK: Ashgate. Korean translation: 안전패러다임의 전환 I (안전시스템의 과거와 미래 I, Seoul, South Korea: SEJIN Publishing, 2015. 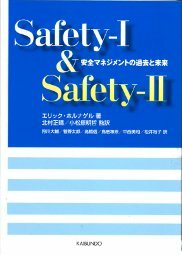 Japanese translation: Safety-I ＆ Safety-II ―安全マネジメントの過去と未来. Kaibundo, 2015. Chinese translation: 安全-I与安全-II-安全管理的过去和未来. 中国工人出版社, 2015. 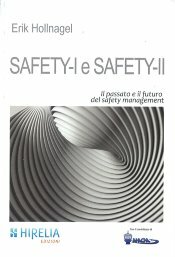 Italian translation: Safety-I e Safety-II: Il passato e il futuro del safety management. Hirelia (2016). Safety is a word that is used frequently and in many different contexts. Because it is used so often we all recognise it and we all believe that we know what it means – it is immediately meaningful. Because it is immediately meaningful to us, we take for granted that this is the case for others as well. Indeed, when we talk about safety we are rarely, if ever, met with the question ‘what do you mean by that?’ We therefore make the – unwarranted – inference that other people understand the word safety in the same way that we do. The assumption that we all know and agree on what safety means is so widespread that many documents, standards, guidelines – and even doctoral theses (!) – do not even bother to provide a definition.